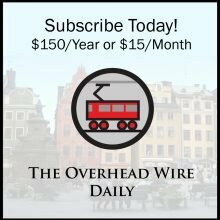 Thank you for your interest in The Overhead Wire Daily! We are an old school news clipping service re-imagined for the digital age. You probably don’t have six hours a day to go through and organize all the news that’s available on the topic of cities…so we’ll do it for you. Every day we comb through over 1,500 articles and blog posts to bring you the most interesting news, blogs, and research about cities and urban policy. 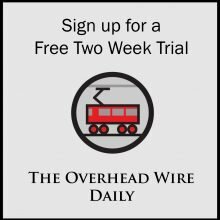 The Overhead Wire Daily Premium includes our front page articles, Quote of the Day, Most Read from the day before, and recommended reads for those on a time crunch. 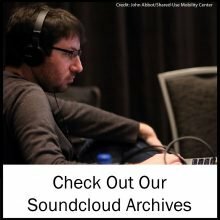 You also get access to our tagged archive on the website with over 36,000 links to past posted stories. Click here to get a two week free trial of The Direct Transfer Daily without the hassle of credit card entry. After the monthly trial ends, you can subscribe to any of the options below to continue receiving premium features, or be transferred to a limited daily email. Sign up now and get news and information about cities in your inbox each weekday morning for 48 weeks*. Get a leg up with information you can use in your work and advocacy today. The Premium Daily Subscription is our most information packed offering, chock full of over 30 pieces of news every single day. Included are popular features such as the quote of the day and the most read article from the previous day. Also included is our weekly roundup for times when you are strapped for time but need to know what everyone else might be reading. The Premium Weekly Subscription is for professionals constantly under a time crunch. We take the most read items from the week before and share them with subscribers. First of all, I want to thank you all for reading and supporting The Overhead Wire Daily (and its various incarnations…) for over 10 years. I also want to give a big shout out to those of you that responded and donated to Patreon to help fund the service. 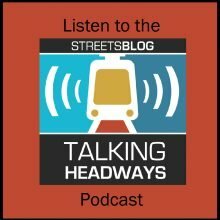 As you may or may not know, each day I go through over 1,500 news articles and blog posts related to cities so I can bring you the best 30 to 50 pieces the next morning. This process takes anywhere between four and six hours a day, as well as additional related costs. Over the last year, I’ve been actively seeking funding through sponsors, advertising, and readers like you. Unfortunately, I’ve been unable to generate enough funding to sustain this service with that model, given the time and costs associated. I know that a lot of you really appreciate the service from reporters to advocates to professors to professionals. I myself also enjoy aggregating news and information to help keep folks updated on what is going on each day. That’s why I want to keep the service going. But to make this possible, I’ve decided to transition The Overhead Wire Daily from an unpaid service to a subscription service. This was a very difficult decision that I’ve been struggling with it for a while now but I hope that you all understand why. If you wish to support the continuation of this service, please take some time to look through the subscription options above. Thank you all again for reading and supporting The Overhead Wire Daily. It is a pleasure to be a part of an amazing group of colleagues and I hope I can continue to bring you the news and information that helps you make cities better for everyone. *We typically take four weeks off a year in addition to traditional United States national holidays. Two weeks at the end of the year around the Christmas Holiday and two other weeks for vacation to keep us fresh for work.